A large donkey pictured in black and white with the text above his back. 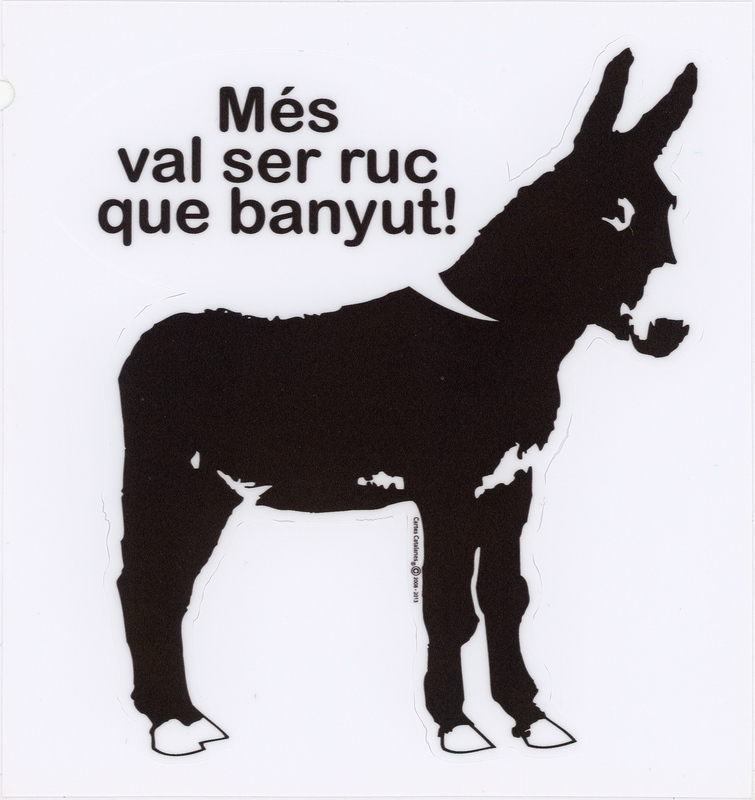 The donkey is a symbol that Catalan nationalists have adopted in contrast to the symbol of the bull which is typical to Catile and Andalucia. The way the text appears in a bubble from the donkey's mouth implies that he is saying them.